This one is already funded, so climb on board this dicey worker-placement game. It's designed by Tim W/K. Brown, and the solid designer Josh Cappel, who gave us Wasabi and Bomb Squad Academy. You'll grab dice from a pool, send divers down to wrecks, and grab treasures--but watch out that you don't help out your opponents by uncovering treasures that are easy for them to grab! Designer Glenn Drover has been behind some big games, including Age of Empires, Railways of the World, and Conquest of the Empire. While it's full of anthropomorphic animals, the gameplay is all about using auctions and commodities wisely to build the best economy and beat your rivals. This one has funded, so now you're just working on stretch goals. This is a fun and creative cookbook features 12 games across 300 pages--everything you need to make tasty treats that double as games. Each chapter is divided into two sections: how to prepare the game, and how to play the game. Each game also comes with store-bought alternatives for those of you who...well, who shouldn't go near a kitchen. Fun for a family game night, or a clever twist on a classic party. It's nearly funded, so help take a bite out of the remaining money needed to make this a reality. So what are we missing? 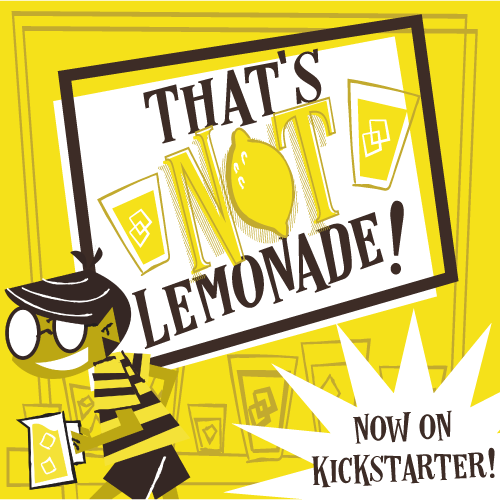 Share your Kickstarter favorites, or contact us about your project and we may use it in an upcoming week. Thanks for reading!